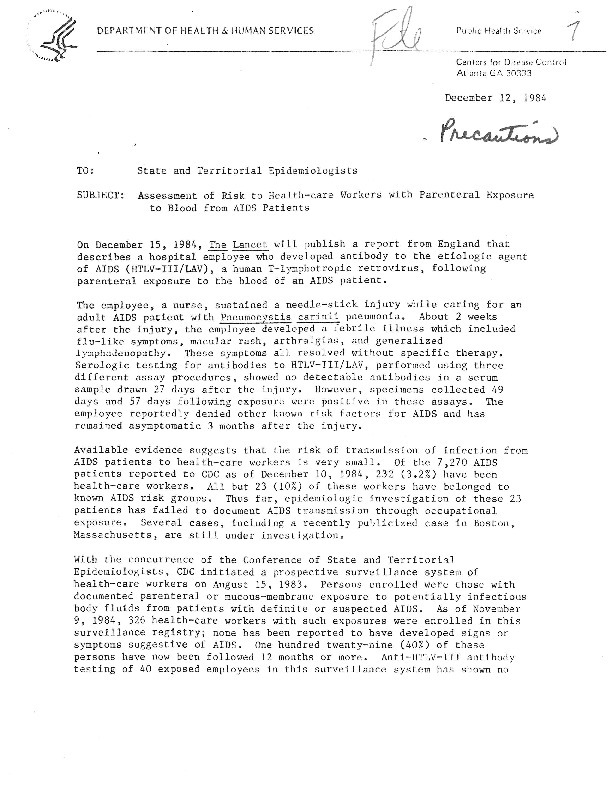 A collection of 5 memos regarding risks to Health-care workers and exposure to blood from AIDS patients and precautions to take. One manuscript on precautions for personnel taking care of patients with AIDS. “MEMORANDA: Health Worker Precautions ,” The Global Health Chronicles, accessed April 22, 2019, https://globalhealthchronicles.org/items/show/6538.